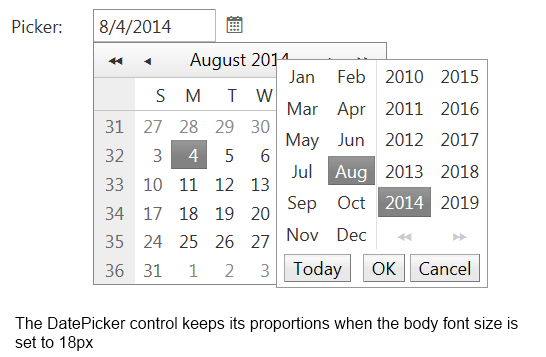 The RadCalendar including the picker controls provide elastic and fluid capabilities which allow keeping the control’s component proportion on different mobile devices. 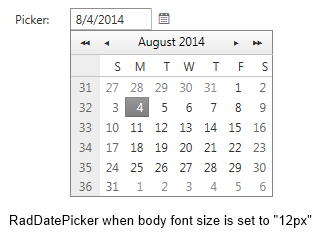 As of 2016 Q1 SP1 RadCalendar takes the font-size of the page automatically. If the developer does not set it explicitly (Example 1), this is up to the client's browser and a common default value is 16px.